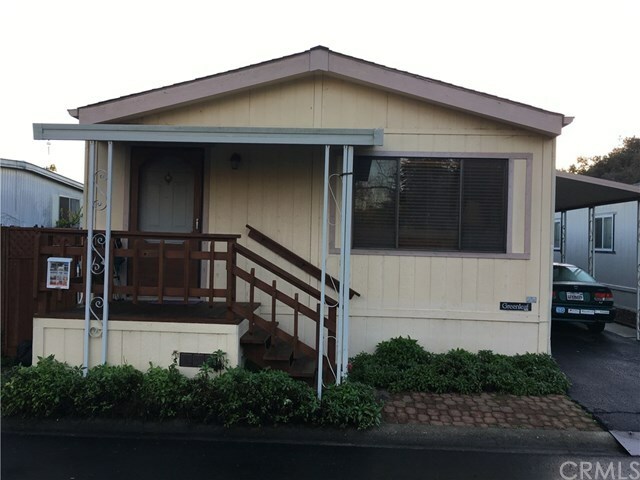 2 bd 2bth, 1,150 sq ft 1990 double wide in excellent condition, in beautiful all age/pet friendly Creekside park, with mature trees, exceptional club house facilities, pool, jacuzzi, game room, library, kitchen, playground. Home is across from creek and open space. New wood laminate flooring through out with new carpet in bedroom . New blinds throughout. Walking distance to Trader Joes, coffee shops, cafes and other retail businesses. Easy level (2 mile) bike ride to town. Ten minutes to beaches, also accessible by bicycle along access roads and Bob Jone's City-to- Sea trail.